Since 2014 was a year beset by ill-timed, event-altering injuries for the UFC, it seems only fitting that the year’s last pay-per-view event should also undergo a few alterations after its originally scheduled participants were hurt during their training camps. Fortunately for the company (and for its fans) this time around, those affected match-ups were not either of the card’s two major attractions. Barring an unfortunate last-minute setback (I almost hesitate to even write that qualifier for fear of jinxing things), the UFC’s final pay-per-view event of 2014 will, indeed, feature highly anticipated title fights in the company’s two most populous divisions. 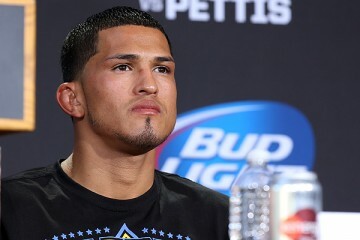 First, in the co-main event, lightweight champion Anthony Pettis will put his belt on the line against longtime top contender and former Strikeforce lightweight king Gilbert Melendez. The fight will be Pettis’s first title defense since capturing the strap from Benson Henderson in August 2013 and a match-up between the two coaches from the current season of The Ultimate Fighter. The night’s nominal headliner is a welterweight title rematch between champion Johny Hendricks and former challenger Robbie Lawler. Hendricks not only looks to defend against the ultra-tough Lawler (who has rattled off two impressive victories since his loss to Hendricks in March), but also to bounce back from a significant bicep injury that led to his moderate layoff from action. Fans have been clamoring for Hendricks/Lawler II for quite some time, due to the close nature of the fighters’ first affair, and on Saturday their wishes will be granted. Also on the UFC 181 main card are two heavyweight contests featuring pairs of fighters known to hit very, very hard, and the pay-per-view portion opens with a lightweight fight between up-and-comers Tony Ferguson and Abel Trujillo. 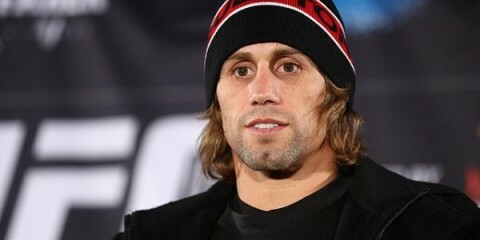 The undercard has some highlights as well, including the return of the celebrated Urijah Faber and a bantamweight bout featuring Anthony Pettis’s younger brother, Sergio. UFC 181 takes place in Las Vegas, with the preliminary fights beginning on UFC Fight Pass at 7 p.m. ET and continuing at 8 p.m. ET on Fox Sports 1. The main card, broadcast on pay-per-view, begins at 10 p.m. ET. Combat Press writers Vince Carey and Eric Reinert meet once again to preview the card in this edition of Toe-to-Toe. Robbie Lawler is back for a second go-around against Johny Hendricks for the welterweight title. Their first fight went five rounds and ended with Hendricks claiming the belt. What does Lawler need to do differently in order to edge Hendricks in the rematch? Carey: Honestly, Lawler shouldn’t change all that much going into the rematch. Through 24 of the 25 minutes in their initial title fight, Hendricks and Lawler appeared to be dead even. It was only a late takedown by Hendricks that provided the clarity needed to pick a winner. Even on their best day, I have a hard time believing that either one of these guys would be able to thrash the other. Considering how well their styles came together last time, it’s hard not to expect a satisfying sequel to the first fight here. If Lawler can avoid just one more takedown or land just a handful of punches that missed the mark the last time, it could easily be enough to swing the fight his way. On the flipside, Hendricks only needs to land another takedown or two more than he did in the first fight and he’ll likely be able to score another win. Lawler’s gotten extremely good at shrugging off takedowns and using those close-range encounters to fire off some knees and punches, but it’s almost impossible to keep a wrestler like “Bigg Rigg” at bay for an entire 25 minutes. “Ruthless” defended the takedown better than I thought he’d be able to in the first fight, but it’s tough to ask him to repeat that task. That means he’s going to have to search for the knockout even more often than last time. Considering the bombs he hit Hendricks with last time, that’s going to be a tall order. I’m not counting Lawler out, though, because he’s got cinderblocks for fists and there’s no doubting that he can turn anyone’s lights out if he lands the right shot. Unfortunately, he got those opportunities the last time he fought Hendricks and he couldn’t quite seal the deal. I’m expecting a stronger and slightly more cautious Hendricks to enter this fight. Although we’ll still get our fair share of slugfest moments, much more of this one will take place on the mat. Lawler won’t get finished, but he isn’t going to be able to fight off Hendricks and his pressure long enough to get a decision win. Reinert: I think the only thing Lawler could do differently at this point is be, like, five years younger. He’s clearly become far more than the feared power puncher of his early career, and his relative success back in March against a guy with Hendricks’s wrestling credentials is all the evidence one needs. Through more than a decade of training and fighting as a pro, Lawler now possesses the sort of all-around game that has kept him in the UFC’s welterweight title conversation for more than a year. Unfortunately for Lawler, Hendricks is also a pretty complete fighter. Like MMA legend Dan Henderson, Hendricks not only has world-class grappling thanks to his years as an amateur wrestler, but he’s also got a dynamite left hand that has allowed him to get half of his 16 pro wins by knockout or TKO. Hendricks has also faced some pretty mean strikers in his time, but he has never been finished in his MMA career. Thus far, he has shown very few weaknesses in the cage and a hell of a lot of strengths. This one is actually pretty tough to call, but my decision hinges on the following point: The only two men to have defeated Hendricks did so by grinding him down over the course of the entire fight. Rick Story used his own potent wrestling to stifle Hendricks’s offense during their December 2012 fight, and Georges St-Pierre…well…he employed his usual GSP strategy, only to escape with a narrow split decision win last November. Lawler has a lot of skills, but he’s never been known as a grinder, and even if he did try to emulate the tactics of Story or St-Pierre, he simply does not have the sort of offensive grappling to get it done. I’m expecting a similar sort of fight on Saturday, and with the same result as Hendricks/Lawler I. The last time Anthony Pettis lost, he was out-wrestled for three rounds in a high-paced fight against Clay Guida. We’ve seen challenger Gilbert Melendez use a takedown-heavy, top-control strategy to win fights, but we’ve also seen him go to war with the likes of Josh Thomson several times. Which Melendez will we see against Pettis? Reinert: How long has Melendez been considered one of the absolute best lightweights in the world? Five years? Maybe more? One does not achieve that sort of reputational longevity by being a stupid fighter, and Melendez will take no risks against a dynamic performer like Pettis. In other words, expect the first of the two above descriptions of “El Niño” on Saturday. One needn’t look too long at Pettis’s record to see the sort of gifts he possesses on his feet. The Duke Roufus-trained fighter has won eight of his 17 pro victories by knockout or TKO, including two of his four wins in the UFC. Of course, Pettis also has significant talent on the ground, as he demonstrated in his slick armbar submission of Benson Henderson to capture his belt. In fact, despite gaining worldwide acclaim after the “Showtime Kick” in his final WEC bout (also against Henderson), Pettis actually won more times by submission (three) than by KO/TKO (one) during his six-fight WEC tenure. It’s this sneaky grappling game that Melendez will have to mind most closely on Saturday. It would probably be foolish of the challenger to try to match strikes with the champion, but even if Melendez is able to use his formidable MMA-style wrestling to remove Pettis from his feet, he’ll have to be very careful in his ground attacks so as not to get caught in a submission. As is the case so often in fights between elite competitors, the person with the better cardio is going to come out on top here. I see Melendez employing a similar strategy to what we saw Frankie Edgar use against Cub Swanson last Saturday: clinch, takedown, ground-and-pound. Barring a flash knee or another great submission from Pettis, I think Melendez grinds his way to his first UFC title this weekend. 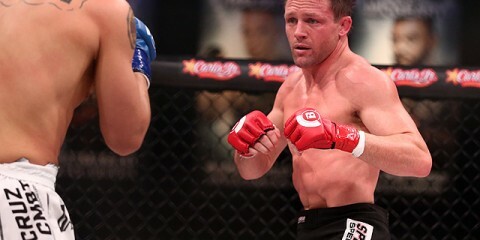 Carey: I’m expecting a grind-it-out, wrestling-centric version of Melendez’s attack as well. It has the potential to cause all sorts of problems for Pettis. Melendez is indeed far from stupid. He knows he shouldn’t mess around on the feet against someone as dynamic as Pettis. That means plenty of takedowns attempts and closing the distance from the challenger, but Pettis is so dangerous off of his back that we may end up watching Melendez hold for position and stall more than attempt to work some actual offense. For as much hype as this fight has, it might actually end up being a bit of a disappointment if Pettis is unable to stay off of his back. Of course, unless referee “Big” John McCarthy is content to let Melendez just sit on top of “Showtime,” the former Strikeforce champ is going to have to mount some sort of offense, which is easier said than done against Pettis on the mat. Long limbs and an unorthodox style have made Pettis one of the more entertaining grapplers to watch when he gets the opportunity to showcase that part of his game. Melendez has a very good top game and has been able to get damn near any opponent he’s wanted to on the mat. However, if he’s hesitant to let himself go and attack while on the ground, he could eventually run into trouble. Obviously, every minute spent in top control is another minute Melendez spends winning the fight and draining Pettis’s energy. But it’s also another minute that Pettis will still be in the fight and looking to take out the challenger at the slightest opening. If you think back to Anderson Silva’s fight against Chael Sonnen at UFC 117, all it took was one small mistake by Sonnen for Silva to capitalize and win the fight. That’s what Melendez is trying to avoid at all costs this weekend. Unlike Eric, I’m not sure if “El Niño” can fight mistake-free against “Showtime” for a full 25 minutes. Since almost any mistake can be fatal against the champ, I’m taking Pettis to retain his belt in a comeback win after dropping the first couple of rounds. Travis Browne has been on the cusp of heavyweight title contention for quite some time, but he always seems to hit a bump in the road just before he can get a shot at the belt. Given Browne’s third-place UFC heavyweight ranking and previous success in the division, does a win over Brendan Schaub earn him a shot at the interim belt? If not, who else would Browne need to beat to get his championship opportunity? 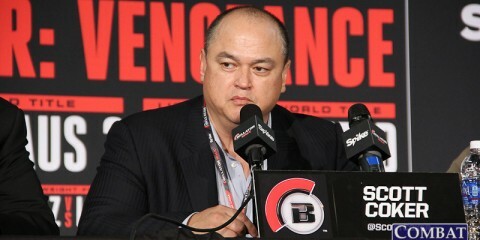 Carey: Browne could win by knockout in five seconds this weekend and I doubt he’d get a shot at the heavyweight title. First of all, Browne fought interim champ Fabricio Werdum less than a year ago and the fight wasn’t exactly close enough to make fans clamor for a rematch. “Hapa” has looked like a wrecking machine against 90 percent of the guys he’s fought in the Octagon, but Werdum found a way to neutralize Browne unlike anyone before him. When you throw in the fact that the UFC gave that bout away for free on Fox, it makes it even less likely that fans would be willing to shell out for a pay-per-view event without an incredible undercard. The second problem is that I have no reason to believe the UFC is going to even make Werdum defend his interim title before he gets a shot to unify the belts against Velasquez. It’s already rumored that UFC President Dana White and company are targeting a June return to Mexico to finally let Velasquez and Werdum settle their score. After hyping a Velasquez-Werdum match-up with The Ultimate Fighter: Latin America this year, it would be counterproductive to set up another heavyweight title fight before those two face off. That leaves Browne stuck in limbo if he scores a win here, but it’s not too difficult to see where the UFC is likely to send him next. With fellow top contenders Junior dos Santos and Stipe Miocic ready to throw down in about a month, Browne has a ready-made opponent for a No. 1 contender’s fight against whomever ends up coming out ahead in that one. It may not be an actual title fight, but it’s the best Browne should really hope for considering the circumstances. Reinert: Yeah…OK…maybe not the greatest question, but I pose it only because the UFC’s heavyweight division is, pardon the reverse pun, fairly thin when it comes to actual title challengers. I mean, look at the current top-ranked guys on the UFC’s list. Velasquez is the champ, but he hasn’t fought in more than a year. Werdum is the interim champ, and clearly deserving of his shot against Velasquez. After that, though, you’ve got dos Santos, who, all due respect to the dangerous and affable Brazilian, lost badly to Velasquez twice in a row. Other than Browne, the only other fighter who could possibly be considered for a title shot is the aforementioned fourth-ranked Miocic, and that train could be derailed with a loss to dos Santos in their fight later this month. I suppose even in a worst-case scenario where Velasquez remains on the shelf, the JDS-Miocic winner almost certainly gets the next shot at Werdum’s interim belt, with Browne likely getting the loser to settle the question of who ranks immediately below the title-challenging pack. That said, a win on Saturday keeps Browne at least on the outskirts of the championship conversation, and while he might not get his shot in the next year or so, all he needs to do is string together two or three wins and he won’t be able to be ignored. Todd Duffee makes his return to the cage after a two-year absence due to illness and injury, but what should fans expect out of the once heavily hyped heavyweight? Is he the monster who has finished every single one of his wins in under 10 minutes and a possible contender, or is he closer to the fighter that lasted just 19 seconds against Alistair Overeem a few years ago? As to the question at hand, I’m not sure my own expectations could be much lower for Duffee. Sure, he won his first UFC fight in incredible fashion, knocking out Tim Hague in just seven seconds, but his MMA career after that has been pretty unremarkable. He’s coming off his second layoff of more than a year and steps into the cage on Saturday against a Jackson-Winkeljohn-trained heavyweight with seven KO/TKO wins of his own. To me, Duffee is a holdover from that brief period of time when many MMA fans thought the more muscular the heavyweight, the more successful he’d be. This was a time when supersized Brock Lesnar was the king of the division, with the equally hulking Shane Carwin right behind him. Frank Mir totally changed his body type in an attempt to keep up, and the musclebound Duffee arrived in the UFC right in the middle of all of this. Unfortunately, these scale-tipping behemoths would not maintain their collective position among their fellow heavyweights for very long, and while the current crop of 206-plus-pound contenders are certainly large gentlemen, none has the sort of bodybuilder physique that briefly captured the attention of the MMA world a few years ago. That said, though, Duffee is only 28 years old, and his lack of activity has probably done his body pretty well. He’s only now beginning to enter his athletic prime, and an impressive win over Anthony Hamilton on Saturday would immediately bring him back into the heavyweight contenders’ mix, even if only on the bottom rung. The two-year absence makes me nervous, though, particularly against a guy in Hamilton who has compiled a 5-1 record in that time. I don’t think Saturday will be Duffee’s last time in the UFC, but the night itself will belong to his opponent. Carey: If Eric seriously had the patience to sit through Never Back Down 2, I’m almost willing to take his word as gospel. That’s some serious commitment to the sport. As far as Duffee goes, I have a little bit more faith in the UFC record holder’s ability to make a name for himself, but that’s mostly due to the thin heavyweight division we talked about earlier and not anything Duffee has done lately. Let’s be honest, if you have any sort of name recognition at heavyweight and can turn out a streak of three or four straight wins, you’re probably only another win or two away from a title shot. When you also hold a promotional tool like the record for the fastest knockout in UFC history, that title shot could come even easier if the wins start stringing together. Look, I’m not saying Duffee’s actually going to become a title contender. I’m just saying that he has a better shot than most if he wins this weekend. It wouldn’t be too surprising if he got the win here and ended up fighting someone like the loser of Browne-Schaub, which would be a gigantic step up in competition compared to his previous Octagon opponents and a huge step in the right direction. Duffee’s hitting his prime at the perfect time in the division, and he at least has the opportunity to make some serious noise in the next year if he can stay healthy. All of that aside, Hamilton is going to be a hell of a test for Duffee, and I have my doubts about whether Duffee can get the job done. My gut tells me that Duffee puts this one away early with a knockout win in the first, but I wouldn’t be shocked if it went the other way. Either way, I think Duffee remains a solid UFC heavyweight for the next few years at least. Carey: I never would have thought about Urijah Faber being in the sleeper fight, but since I forgot he was on this card at all until a few days ago, I suppose he fits the bill here. In the simplest terms, this is a huge opportunity for Francisco Rivera to score a massive and potentially career-changing victory, while for Faber this fight is more about staying in the win column and putting himself in position for a title fight in case his Team Alpha Male training partner T.J. Dillashaw drops the belt at some point. Regardless of who pulls off the win, this has the potential to be a really fun fight. Rivera is a scrappy fighter who should be fun to watch as he tries to find a chink in Faber’s armor, and his willingness to put it on the line and go after a victory makes him a relatively dangerous threat to “The California Kid.” I don’t expect him to get the job done, but at the very least he should make Faber work for his victory and make sure there are a few exciting moments in the fight. Faber will probably finish this one, but I can promise you it won’t be boring. Reinert: What if I told you there was a fight on this card featuring two guys who, in their 30 combined professional fights, have only gone the distance a total of six times? Where on the UFC 181 card would you place it? Certainly not at the very bottom of the Fight Pass prelims, right? Well, likely because each of the fight’s two participants is coming off a loss, the featherweight duel between Alex White and Clay Collard occupies the least-heralded spot on Saturday’s bill. Despite its obscure positioning, though, this is not one to be missed. White is 10-1 as a pro, having notched nine of his wins by stoppage. His lone loss came in his most recent fight against Lucas Martins in July. Collard also lost his most recent fight (and UFC debut) to Max Holloway, but he put on the sort of hard-charging performance that turned more than a few heads. Even in defeat, Collard displayed abundant fighting spirit, and I made sure to remember his name. He’ll get another chance to shine on Saturday against the equally exciting White, with the winner hopefully getting the sort of attention he’ll deserve. Reinert: Appreciation for the close nature of the night’s two title bouts. UFC 181 is the first event with difficult-to-predict title fights since probably UFC 175 back in July. Since that time, we’ve had bantamweight champ T.J. Dillashaw facing Joe Soto (who took the title fight on literally one day’s notice), flyweight titlist Demetrious Johnson taking out a clearly overmatched Chris Cariaso, featherweight king Jose Also handing Chad Mendes a second consecutive title-fight loss, and an interim heavyweight tilt that most people correctly predicted Fabricio Werdum would win. For the first time in months, then, the outcome of Saturday’s two marquee fights is very much in question. 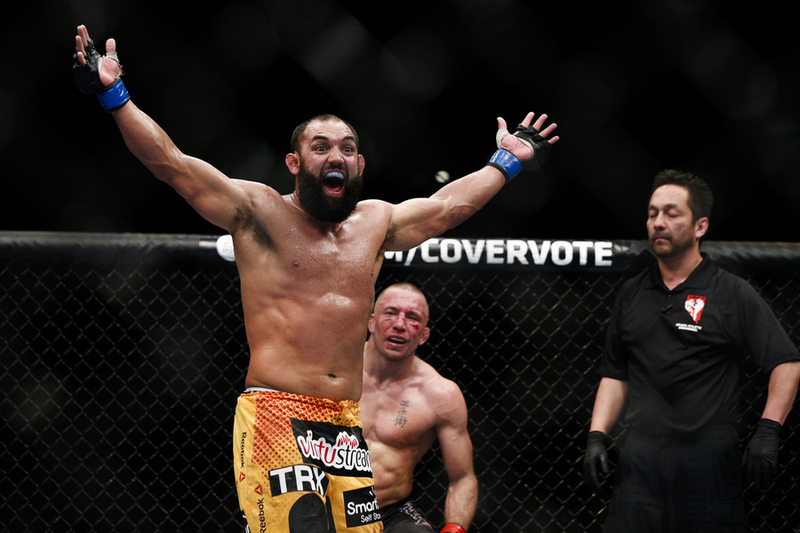 Yes, Johny Hendricks defeated Robbie Lawler in their first fight, but it’s not like Hendricks dominated his opponent. Lawler has looked incredible in his two subsequent fights, and the reasonably close odds (Hendricks -225, Lawler +175 on Bovada.lv) reflect that. The same can be said for the lightweight title fight in the co-main event spot. Anthony Pettis has certainly looked impressive in his UFC tenure, but he’s never actually defended his belt before. Gilbert Melendez, as I note above, has been considered one of the world’s top lightweights for several years, and now gets another opportunity to represent that with a UFC belt. Again, the odds (Pettis -250, Melendez +195) accurately reflect the relatively close nature of this fight. 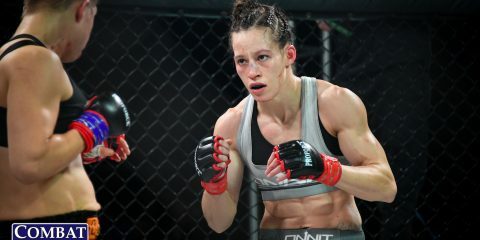 While no MMA fight can have a guaranteed result, the two title bouts on Saturday are the toughest to call in a long time, and that’s a good thing for the card. Carey: High expectations. Eric mentioned that the two title fights on this card are two of the most competitive title clashes of the year, but this whole card is full of quality match-ups that should make this the best event since UFC 177 in September. Hendricks and Lawler put on a legit “Fight of the Year” contender earlier this year and could easily end up repeating that outing this weekend. Pettis vs. Melendez is a legit blockbuster fight for the lightweight division and could produce some serious fireworks both on the feet and on the mat. Then we’ve got Browne vs. Schaub and Hamilton vs. Duffee, two fun heavyweight fights that likely won’t make it longer than the 10-minute mark, and a legit war at lightweight brewing between Abel Trujillo and Tony Ferguson. And that’s just the main card. From top to bottom, this is one of the best cards of 2014 and should be a solid way for the UFC to end this year’s batch of pay-per-view events on a high note. With a handful of enormous title fights on the horizon over the next few months, even a card this fun seems like an appetizer for things to come. In reality, this is just the first course of a badass five-course meal the promotion has planned. However, even with a handful of insane fights still in the promotion’s back pocket, this is the event meant to kick off one of the best stretches of fights in UFC history, and it needs to live up to that standard to keep the momentum going heading into 2015.